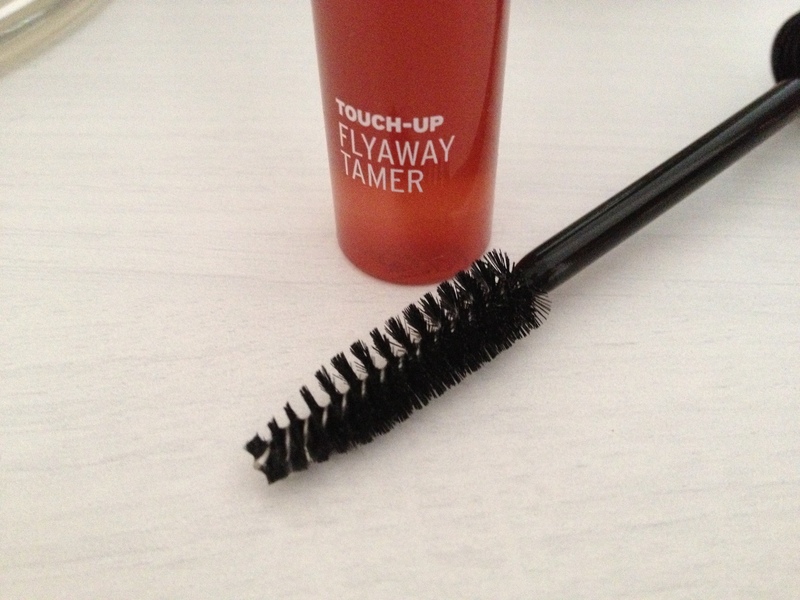 The John Frieda Full Repair Touch Up Fly Away Tamer is a product I'm absolutely hooked on using. I won't step out of the house without using it. I genuinely love this product. There - I said it. Having naturally wavy/curly hair that loves to do it's own thing I'm left with a lot of frizz to battle on a day-to-day basis, especially if I'm not using heat to straighten it. It's been something of a war over the years to make my hair look fabulously sleek - I usually just tie it up, defeated and annoyed. This product is not only genius but brilliant too. 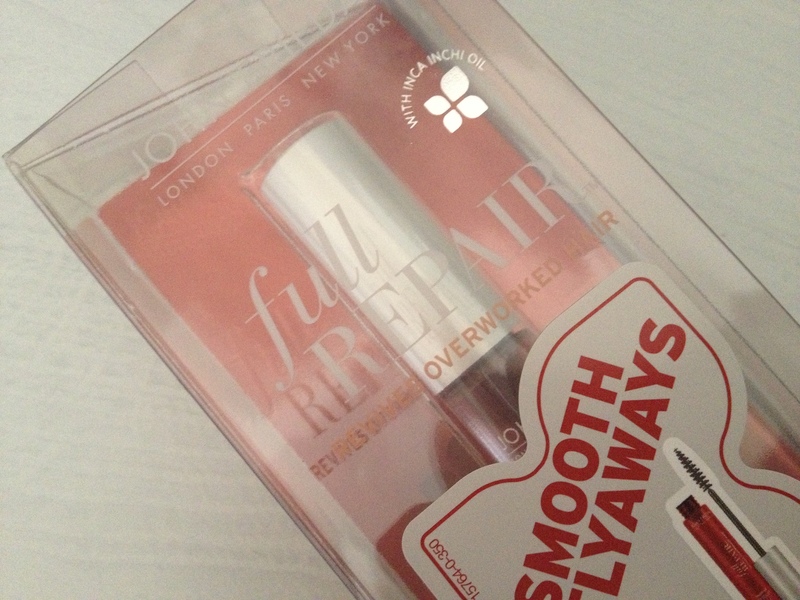 Packaged in the John Frieda Full Repair range's uniform red, it's a tube of beautifully fruity scented gel. Using the large bristled wand (perfect for use in my thick hair) to simply comb through my style it instantly subdues flyaways and tames them into place. The gel is clear, fine enough to go unnoticed in the hair and keeps absolutely everything in place for hours (I use a tiny bit on my brows too when they're being unruly). I use it mostly when I'm wearing my hair up as it doesn't disturb my do in any way. 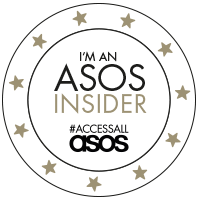 I also use it when I know I'm going to be outside - that little breeze that ruffles your style? No chance of getting past this. Unless I deliberately stood in a wind tunnel I doubt my hair would move at all if I was using this all over. Containing the same Inca Inchi oil that's used in the rest of the Full Repair Range (for my review of the Hydrate and Rescue Shampoo, Conditioner and Deep Conditioner click here) this product also conditions the hair whilst taming it and gives it a great shine too. What's not to love? Would I recommend it? I really really would. It's my go-to hair product at the moment, a true favourite and something I will purchase over and over again. I may even give UP my Charles Worthington Finishing Polish for it. Now that really is something. 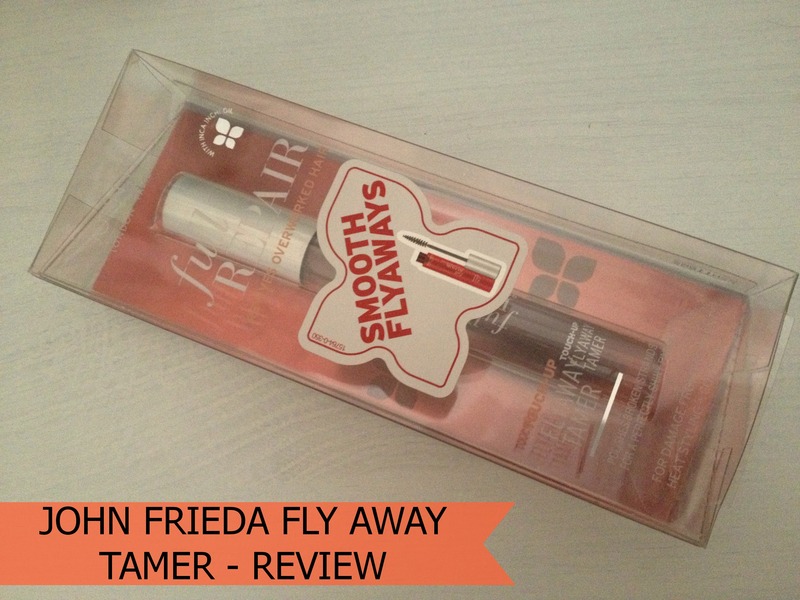 John Frieda Full Repair Touch Up Flyaway Tamer £10.99 is available from John Frieda stockists across the UK including Boots stores and Boots online. 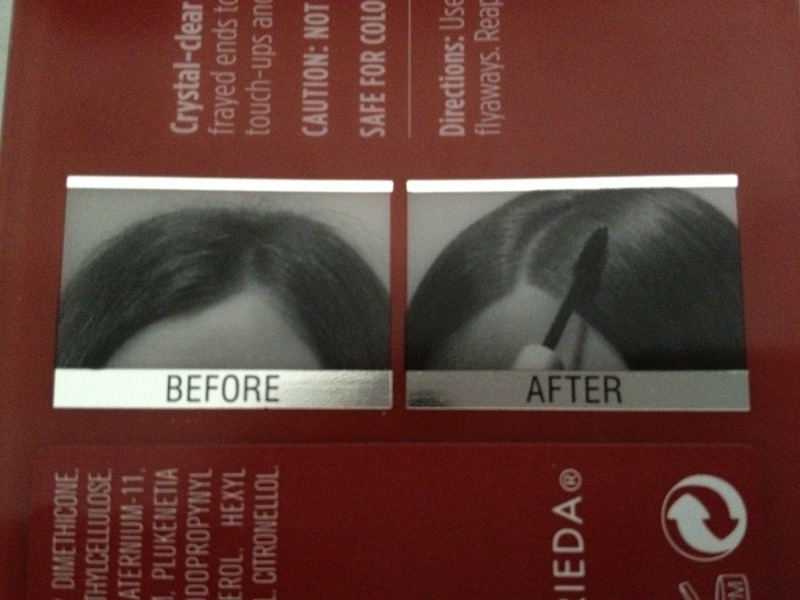 For more information on John Frieda products and ranges please visit the John Frieda website. You can follow John Frieda on Twitter and Facebook for news, product launches and competitions. DISCLAIMER: The product(s) reviewed in the post were sent to me by the brand for review purposes. All opinions expressed about the product are my own. I will never dishonestly review a product as I believe dishonest reviews lead to a lack of trust from my readership. The links on this post will not earn me any commission if you click on them. I'm scared this product might make my roots greasy as I tend to steer clear of products that you apply to the roots, how have you found it? I'd love to try it but the price tag is a bit off-putting, nevertheless great review!